Philip Hughes, ‘Exhibition Design’, Laurence King Publishing Ltd, 2010, p.34. 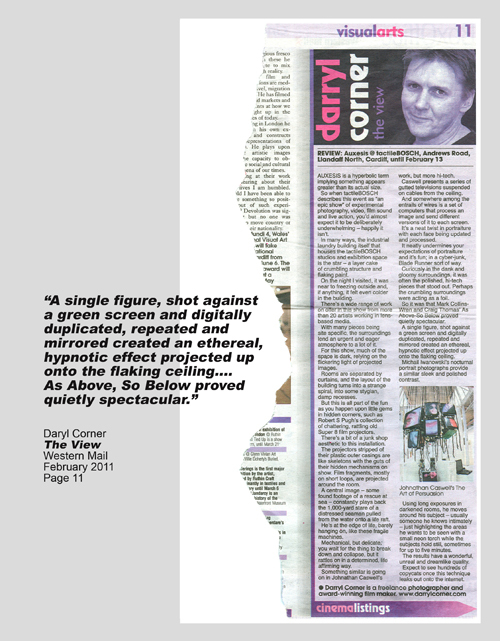 Darryl Corner, ‘The View: Auxesis at Tactile Bosch’, Western Mail, Jan 2010, p.11. 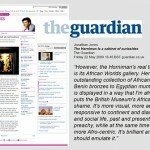 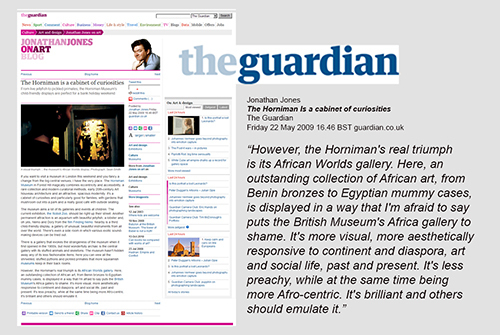 Jonathan Jones, ‘The Horniman is a cabinet of curiosities’, The Guardian, Friday 22nd May 2009 16.46BST www.gardian.co.uk. 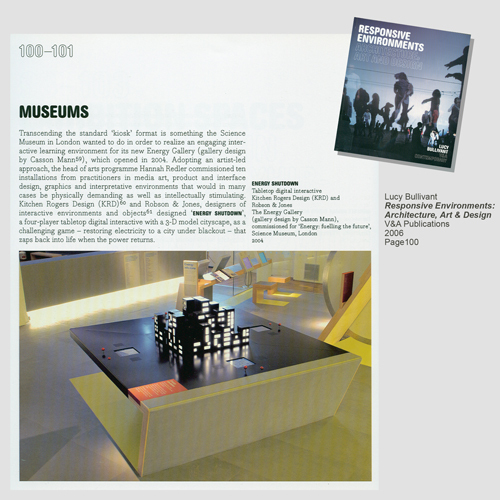 Lucy Bullivant, Responsive Environments: Architecture, Art & Design, V&A Publications, 2006, p.100. 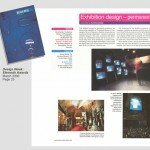 David Dernie, ‘Exhibition Design’, Laurence King Publishing Ltd, 2006. p.64-67. 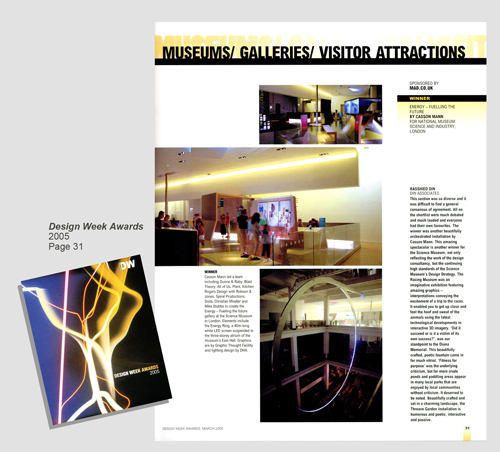 Lynda Ralph-Knight, Design Week Awards 2005 catalogue, Morag Welham, 2005, p.31. 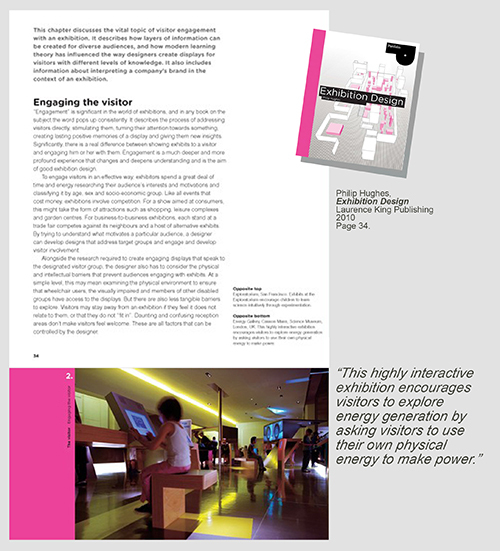 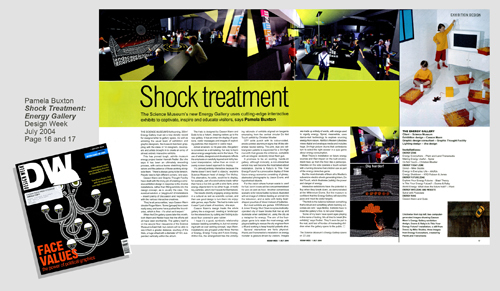 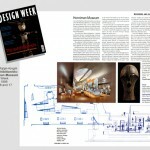 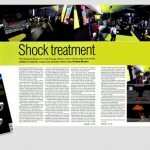 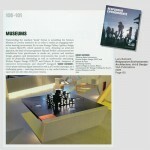 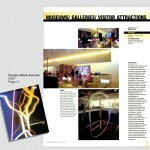 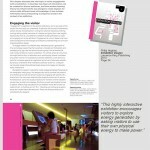 Pamela Buxton, ‘Shock Treatment: Energy Gallery’, Design Week, July 2004, p.16&17. 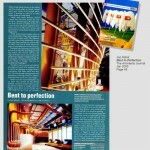 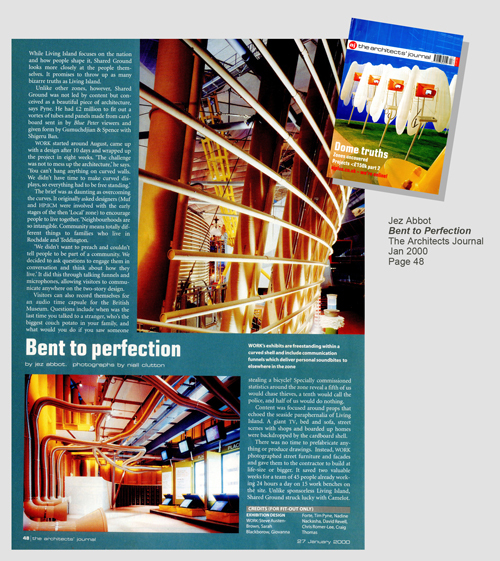 Jez Abbot, ‘Bent to Perfection’, The Architects Journal, Jan 2000, p.48. 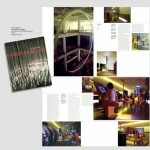 Maggie Toy, Millennium Architecture Architectural Design, Academy Press, 2000, 24&25. 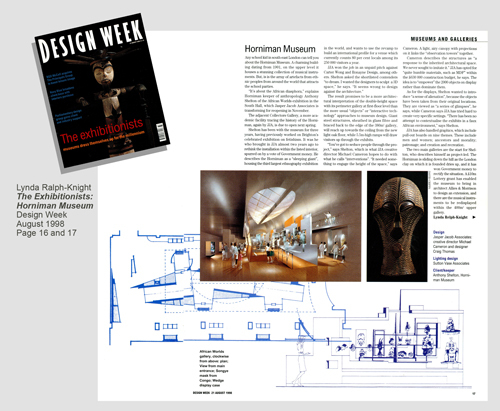 Lynda Ralph-Knight, ‘The Exhibitionists: Horniman Museum’, Design Week, Aug 1998, p.16&17. 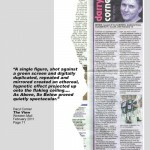 Claire Savage, ‘Craig makes his mark on 2000’, Merthyr Express, Dec 1997, p.3. 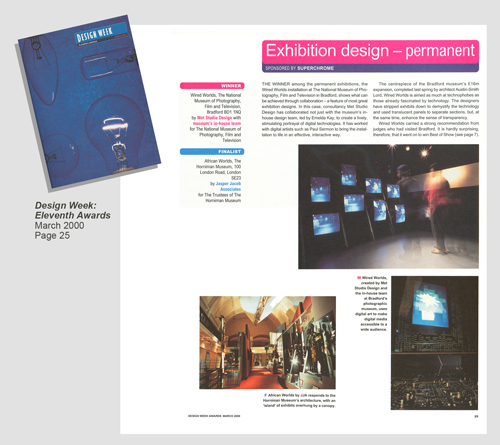 Andy Barding, ‘Five have designs on Millennium Showcase’, South Wales Echo, Dec 1997, p.1.